Baby showers are so much fun – and they’re even more enjoyable when you get to be the guest of honour without any of the hassle of organising the party! Which is why it makes so much sense to book tickets now for our gorgeous Babyology Baby Shower High Tea presented by Huggies on Sunday 25 June at InterContinental Sydney Double Bay. Grab your best girlfriends and share a great day out together. 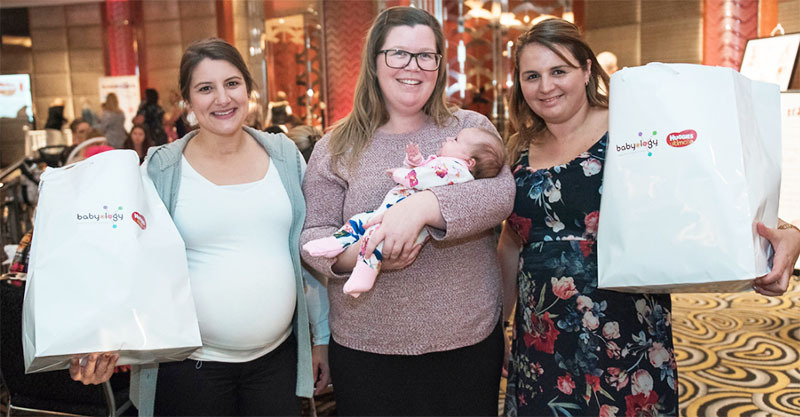 There’s delicious food to eat, thousands of dollars of prizes to win and everyone takes home a $250 gift bag stuffed with goodies perfect for mum and baby. But be quick! The 12pm sitting is SOLD OUT. There are still limited tickets available for the 3pm sitting, but they’re selling fast so book now to be sure you’ll be part of the fun!